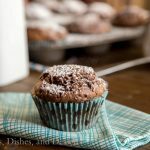 Mocha Muffins – Moist chocolate muffins with a hint of coffee flavor. 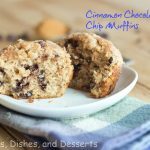 Great with a cup of coffee for breakfast or a snack. If you know me, you know I am not a fan of coffee. So when International Delight contacted me about their new Iced Coffee’s, I almost responded immediately with “sorry, but no.” But then I got to thinking about you, my dear readers. I know most of you love coffee. I am the strange one 🙂 Plus I knew my Mother-in-Law would be visiting, and she loves her coffee. Obviously I am biased, being that I don’t drink the stuff. But I don’t understand the draw of spending $4 at a coffee house at least once a day for something you could make at home. I realize I am cheap, but how can it be worth that much money. I get the convenience, but making specialty drinks at home can’t be that difficult. International Delight has introduced the first-ever iced coffee drink that’s made with coffee house quality 100% Arabica coffee, real milk and cream and served in a half-gallon container. They come in Mocha, Vanilla, or Original, for less than the price of one drink at your local coffee house. All you have to do is pour over ice, and you are done! I sent my MIL to the store and she came back with the Mocha variety. I even tried some! It was actually pretty good (coming from someone who doesn’t like coffee). It was chocolatey, with a hint of coffee in the background. We did find that if you heat it and add it to your black coffee you have one delicious Mocha Coffee 🙂 Keep that in mind when you have just a little left in the carton. I decided to make muffins with some of the Iced Coffee. That should not surprise any of you. 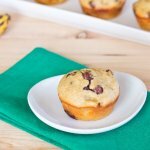 But really, coffee is a morning drink, so what better with your morning coffee than a delicious muffin. 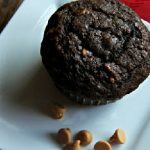 These muffins went over well with everyone. Even my 7 year old loved them. I still have a few left in the freezer, and he just was for them for breakfast this morning. 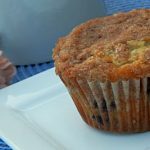 Want more muffins? 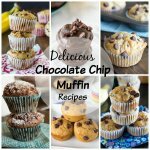 Check out the 50 Muffins that have been shared here before, all in one place. Preheat oven to 375 degrees. 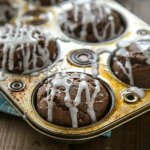 Prepare a 12 cup muffin tin with liner or non-stick spray. In a large bowl combine the eggs, canola oil, yogurt, iced coffee, and vanilla. Stir until well combined. In a separate bowl whisk together flour, cocoa powder, baking powder, baking soda, and salt. Stir in white chocolate chips. Add the dry ingredients and gently fold together until just combined. Be careful not to over mix. Divide the batter into 12 muffins cups, fill about 3/4 of the way. Bake for 15-18 minutes, until a tester comes out clean. Cool for a few minutes in the pan before removing to a wire rack to cool completely. These look amazing! 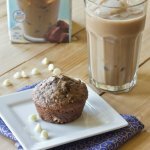 I’m currently addicted to the International Delight iced mocha, so I know that I’d love these muffins. Pinned and printed. Thanks for sharing. i can always make it at home but i love ordering cappuccino in cafes, so that foam is extraordinary. 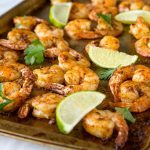 These sound scrumptious, Erin! We both had muffins on our minds today :). There’s one thing I like more than coffee, and that’s coffee flavour things! Those muffins look so yummy. 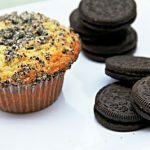 Yum, I going to try to make these with almond flour for a low carb muffin. I like coffee just about anyway but hot, dark & with cream is the best thing right away in the morning. The first cup of coffee in the morning is the best….and I love to bake with coffee. I follow International Delights on Pinterest. 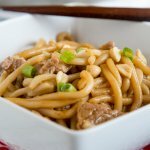 I follow Dinners, Dishes, and Desserts on Pinterest. I’m having bad internet connection right now because of a storm…so here goes my comment once again. Just in case, there is a duplicate, Erin, please disregard the others. 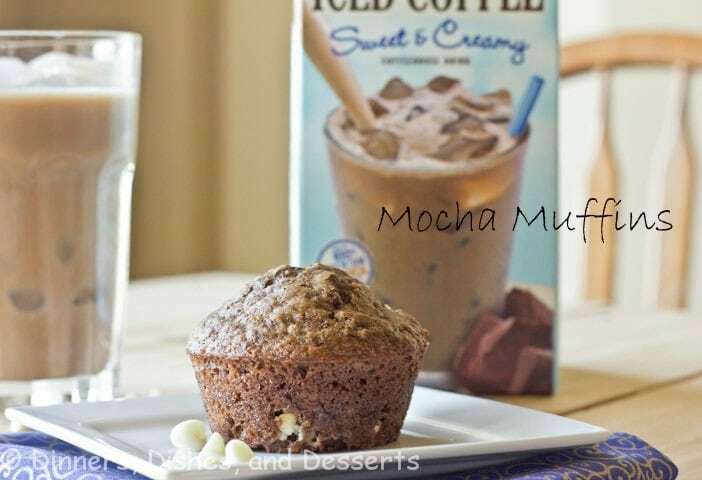 I’m not a coffee drinker, but I love the mocha coffee flavour in baked goods. So, this one’s a winner in my book! 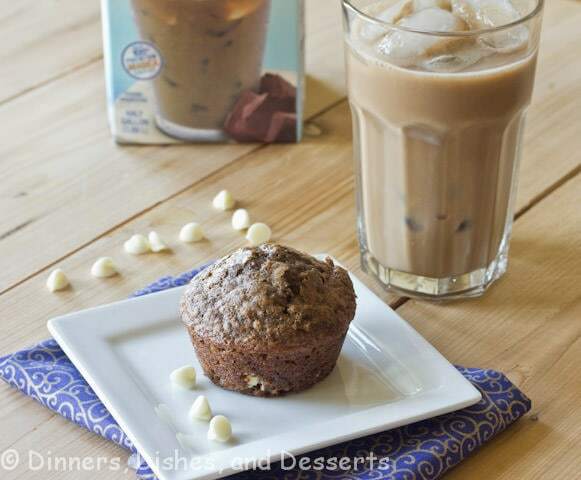 What a great use of the iced coffee mix! I’m not a huge coffee fan, but I do love a good iced coffee periodically in the summer. 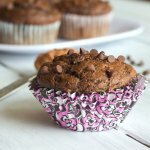 I can’t enter (live abroad) but wanted to say that those sound like some delicious muffins! I also don’t drink coffee but I love to bake with it. Or make ice cream with it. 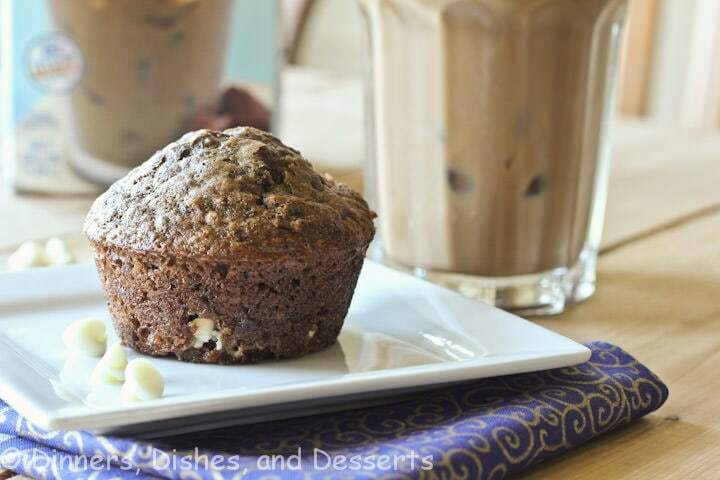 I wish we had that coffee here so that I could make these muffins! I need to whip up muffins soon. These look great! I am a coffee freak if you don’t know that already! I love my coffee in a cold Frappe form, any kind, I’m not to picky, but I’m really fond of vanilla!! Yum! If I had my way, I’d have iced coffee on a regular basis, love it! 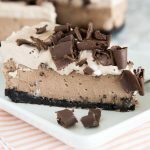 I’m not a coffee drinker, but my favorite way to enjoy coffee is in dessert recipes, especially chocolate! I follow you on Pinterest, my username is sourkin. I follow International Delight on Pinterest. I follow Dinners, Dishes, and Desserts on Twitter. YESSSS PLEASE!! 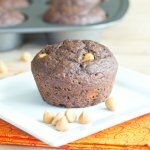 🙂 I love a good muffin recipes! I enjoy coffee anyway..iced, hot, blended…It’s all delicious! I am just like you – NOT a coffee fan, but my boyfriend is and I love to surprise him in the morning with homemade “frappucinos”. I love how these coffee drinks would take out most of that work for me! I follow you on pinterest under danid320. I follow you on Twitter under danid320! I also am following International Delights’ boards under danid320. At home, I begin the morning by fixing a thermos of hazelnut coffee with cream. When I am out, I love to buy frappes and iced mocha with caramel. Yeah I don’t do coffee either, but my hubs and kids do. (Honestly, the smell gags me!) I do like it in chocolate cake though. I follow DDD (sounds like the tv show) by email, great recipes. I adore coffee in the morning and usually have a double latte that I make at home and enjoy while I am getting ready for work. Your muffins look so tasty!! 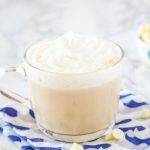 My favorite way I enjoy my coffee is iced with some sweetened condensed milk and whipped cream! Iced! Or as a baking ingredient. I like my coffee hot with milk first thing in the morning during my quiet time. i love any coffee: hot- black or w/ sweetened condensed milk, lattes, iced…etc. your muffins look amazing. I have to have my coffee, black, hot first thing in the morning. I also enjoy drinking it iced later in the day. I don’t drink coffee but coffee ice cream is yummy! Coffee is great anytime! But I really LOVE it on a Sunday morning with a dansih/muffin while watching a cheesy movie on Lifetime! Few weeks ago I tried for the first time the iced coffee (I’m not a coffee lover either) but I found their coffee way to sweet for my taste. I had to mix it with some more coffee and milk to make it even drinkable. 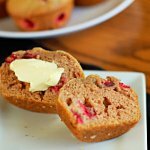 What a great idea to use it in muffins!